The New Nadi Farmers Club came alive as the Australian-based Takia Band kicked-off their 2015 Fiji tour on Friday night. It was a full house as patrons, who loved beer and live music, swayed to the tunes of the Sydney-siders in the open space near the river bank. Owner Tracey Farrington said: “It was an incredible night to have genuine Fijian-born Australian musicians in for a Fiji tour. 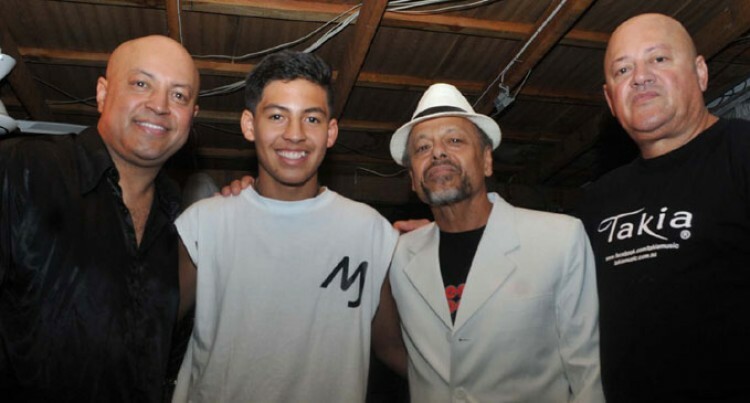 There were a lot of surprises during the night as there was a celebration of three generation of musicians – founder/manager of the Takia band Mansus Knight Senior, 14-year-old son DJ Mansus Jnr and his dad veteran musician George Knight. Mr Knight Snr said they were happy to kick off their tour on a high note at the open-air beer bar. “It is a great moment for us to be in the country and give back to the people of Fiji,” Mr Knight Snr said. The band mesmerised the crowd with their Hindi numbers including Julum Julum along with iTaukei and English numbers – The Takia tune, hit song – Oi Au We, Dau Lomani, Au Kerea and Kava Girl. Meanwhile, the band will be playing in Nausori and will also travel across to Vanua Levu – Savusavu.